Hi guys! 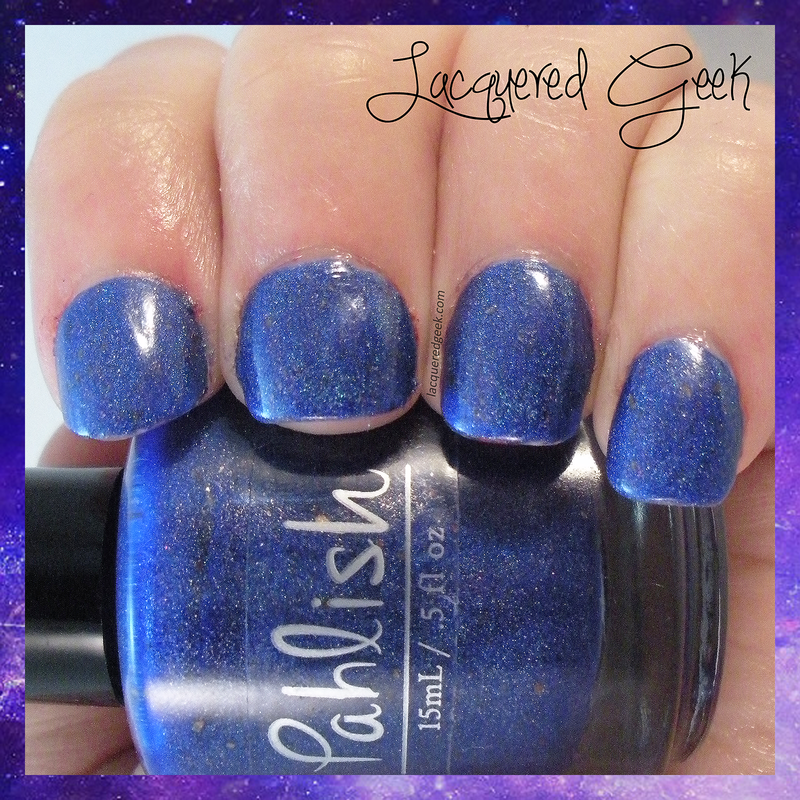 Today I've got a beautiful polish to share with you from Pahlish's latest Doctor Who collection. "The Moon is an Egg" was offered a few weeks ago as a sneak peek of the collection, and I picked it up then. The full Doctor Who collection launched on Black Friday, and will have another restock on December 12th. 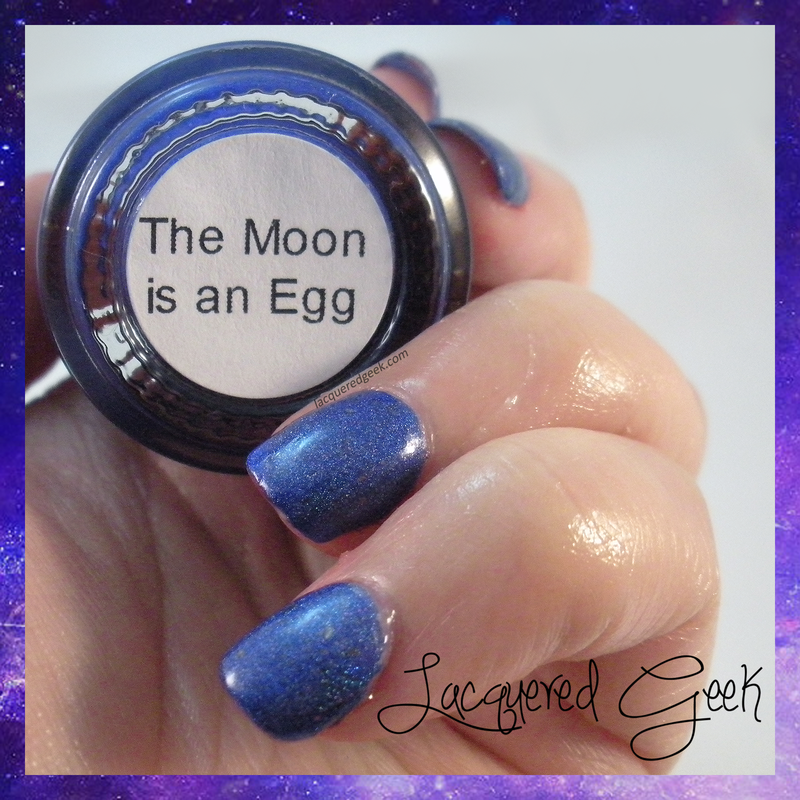 The Moon is an Egg is a gorgeous cobalt-blue holo loaded with copper flakes. I really think that the flakes add depth to the polish. The formula was smooth, and covered in 2 coats. "Kill the Moon," the episode of Doctor Who that inspired the name of this polish, was one of my favorites from this most recent season. Without any spoilers, let's just say that I won't look at the Moon in the same way ever again! Pahlish polishes can be purchased from their site, and restocks take place most Fridays at 7:00PM CST. You can follow their Facebook page to get the most recent updates on new collections and restocks! I love that this polish is like a subtle holo! More appropriate for non flashy situations hah!